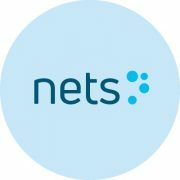 Norwegian bank Sbanken has chosen Nets’ single integration solution NAAS to provide access to account information in all banks in Norway and beyond, reports Jane Connolly. The revised Payment Services Directive (PSD2) requires banks to provide authorised third parties with access to accounts to provide account information and make paying bills easier. By accessing accounts through banks’ PSD2 APIs, Nets Access to Account Services (NAAS) will enable Sbanken as a third party to develop innovative new services for its customers. NAAS has built on Nets’ broad infrastructure by offering third parties the ability to connect to all banks via Nets, rather than connecting to each bank individually. The firm says that it single integration service will allow third parties to offload internal IT resources and reduce the costs, complexity and time to market for new products and services.